It’s Spring! 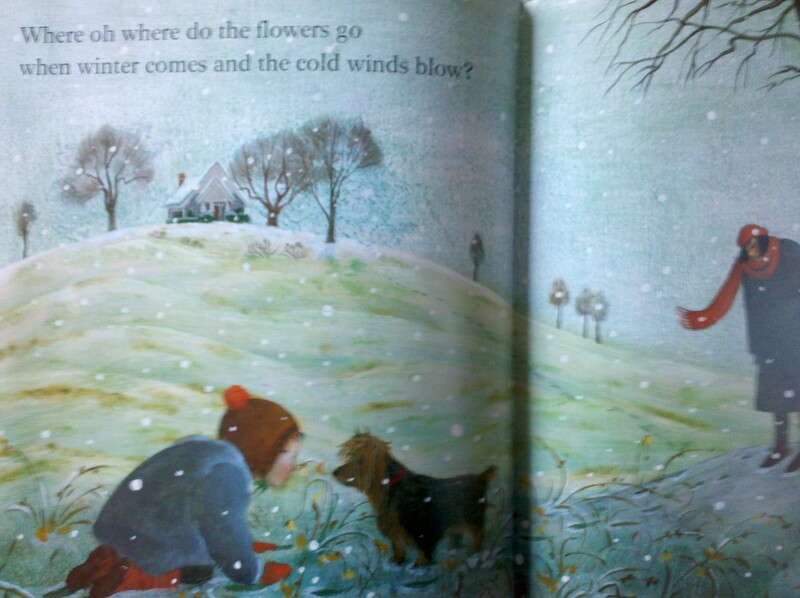 is a colorful and educational book about how the season changes to Spring. 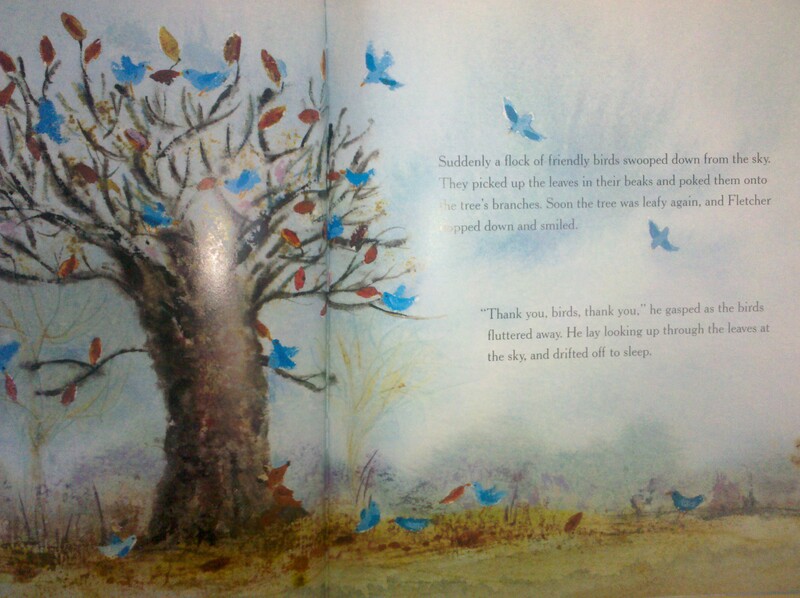 The book follows one boy as he experiences different things during Spring. It begins how winter coats are no longer needed, the ice melts and then there are puddles to jump in. 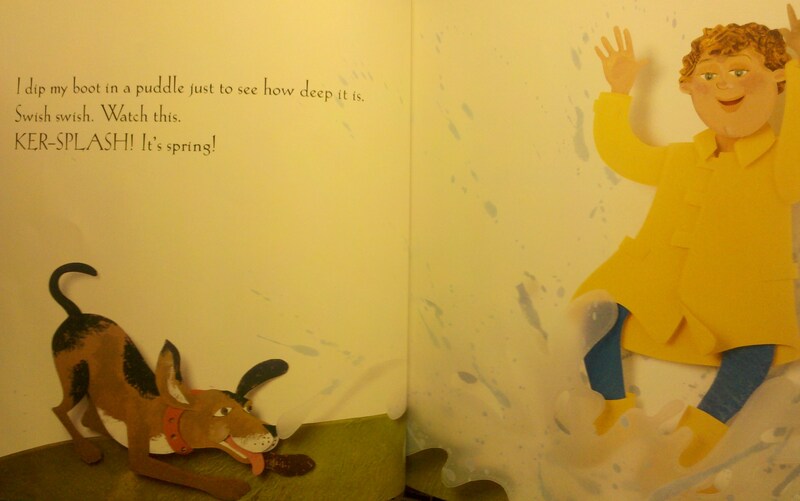 The different senses are in the book as he feels the soft buds on his cheek, hears birds cheep, and smells daffodils. Spring is now the season to plant and he starts a garden. He notices that the sun shines longer and the days are warmer. 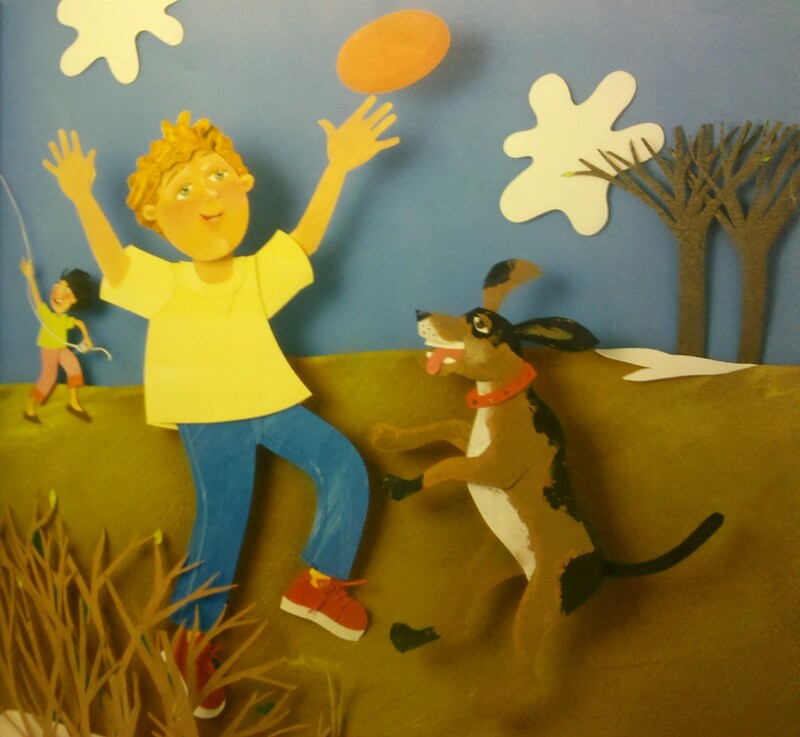 The illustrations are very unique, because it’s made with three-dimensional cut paper then layered to give depth and photographed with lights to give shadows. The pictures almost appear as though the flower is popping out of the page. The back of the book provides Spring nature activities. 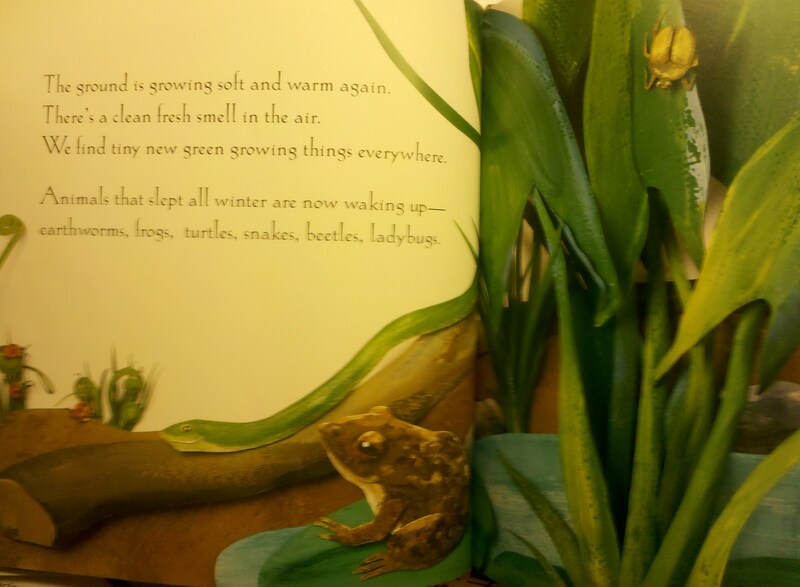 This entry was posted in Ages 4-6, Ages 6-8, Book Review, Children's Book, Picture Book and tagged Book Review, children's book, growth, It's Spring, Linda Glaser, nature, picture book, season, spring, Susan Swan. 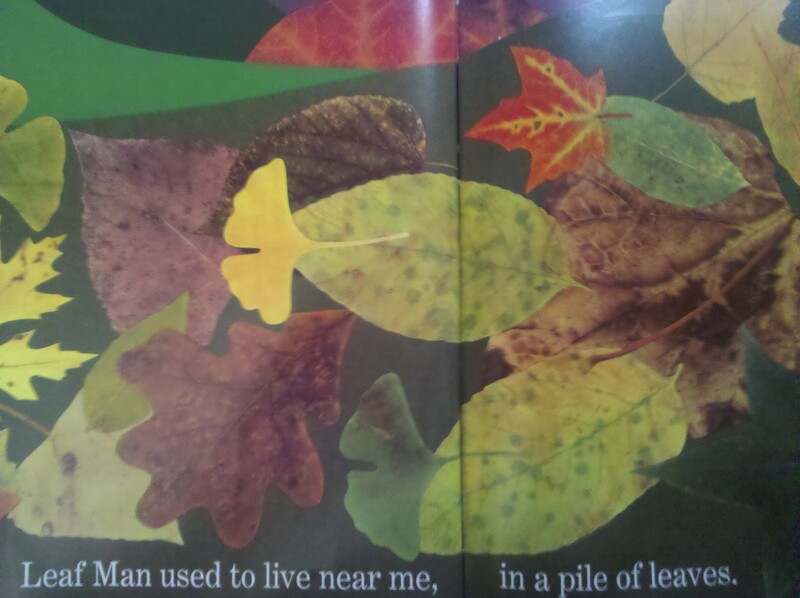 Leaf Man is a colorful book that describes a leaf’s journey. The leaves begin joined together as a ‘man’, but then the wind blows it in all directions. 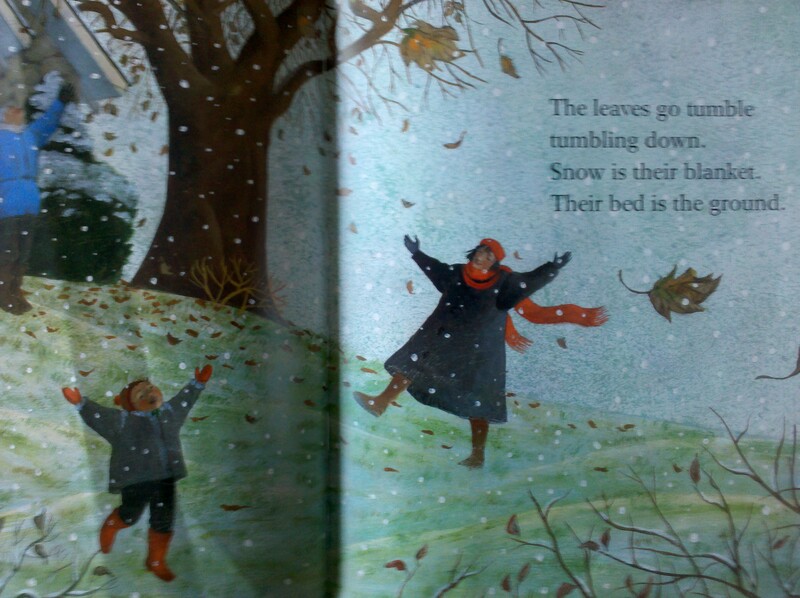 Instead of stating leaves blowing, the book states it as though it was a leaf man travelling. The wind blew the leaf man over vegetable gardens, over meadows, flowing along a river, and flying over mountains with birds. Each page the leaves formed into the descriptions, such as leaves attached to become fish-like when it traveled along the river. 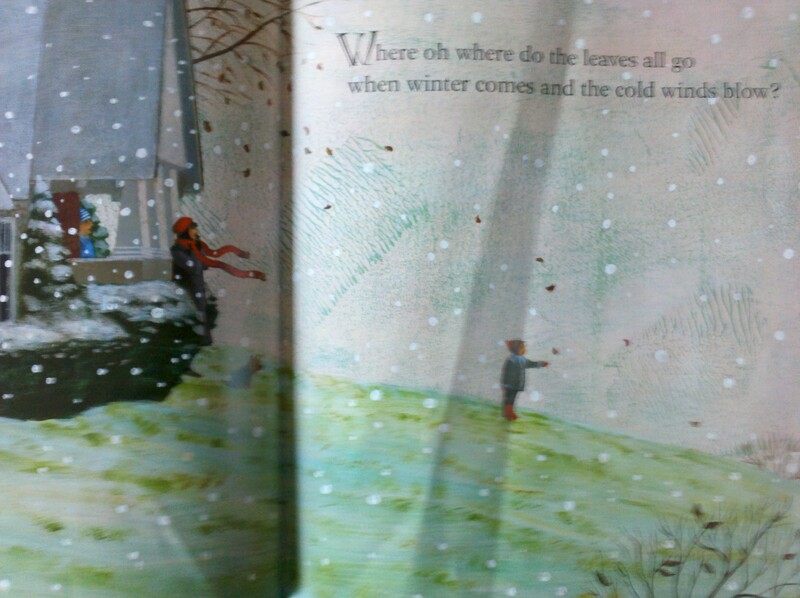 Throughout the book it states ‘a Leaf Man’s got to go where the wind blows’. 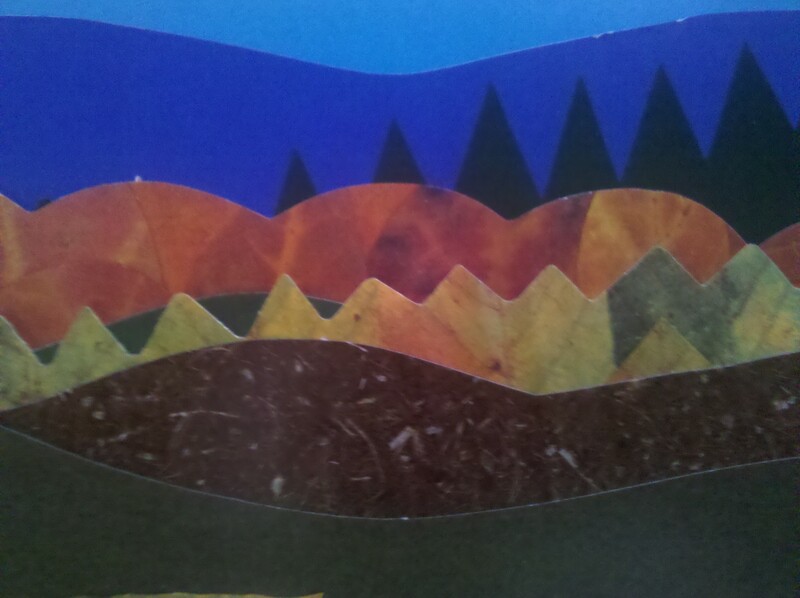 The pages are die cut that together create a landscape. 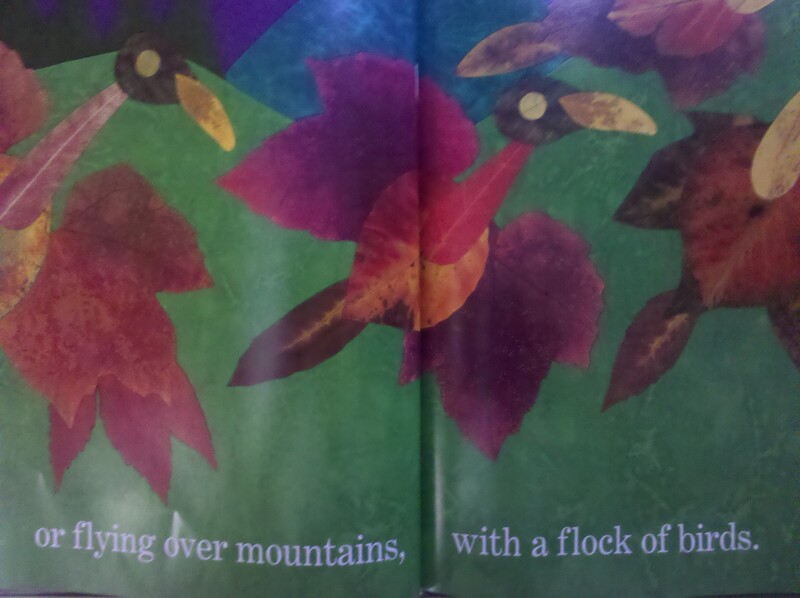 The author collected actual leaves then made the illustrations to closely resemble the leaves. On the back, there are pictures of each leaf and its name. I really enjoyed Leaf Man. This photo shows the die cuts on the top of each page. Think of each landscape element as a different page. 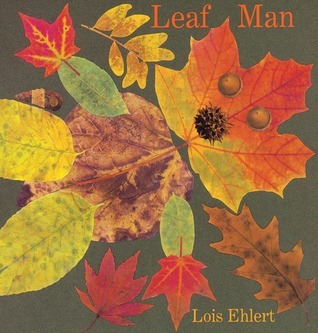 This entry was posted in Ages 2-4, Ages 4-6, Book Review, Children's Book, Picture Book and tagged autumn, Book Review, children's book, fall, Leaf Man, Lois Ehlert, picture book, season. It is no longer summer in the forest as the green colors are slowly turning brown.Fletcher is worried about his favorite tree that now appears brown and dry. Fletcher tells his mother that he thinks his tree is sick, but she says that the tree is fine and that’s it’s now autumn. However, the tree doesn’t appear better at all as more leaves fall. He attempts to attach a leaf to the tree, but the wind carries it away. Soon the tree is completely bare and Fletcher notices that other forest animals use the leaves to provide warmth or build a nest. He takes the last leaf home and protects it. 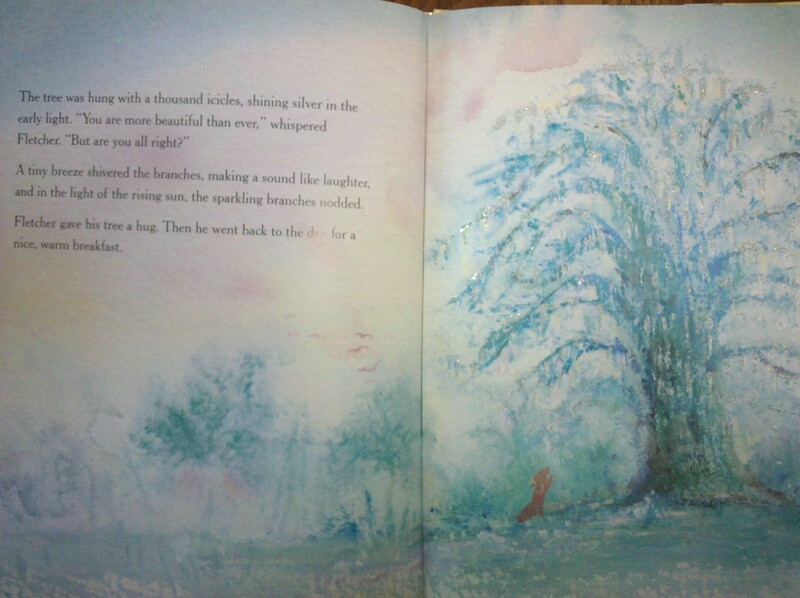 When Fletcher returns to his favorite tree he discovers that the once bare tree contains icicles. Fletcher is happy when he sees the beautiful tree. 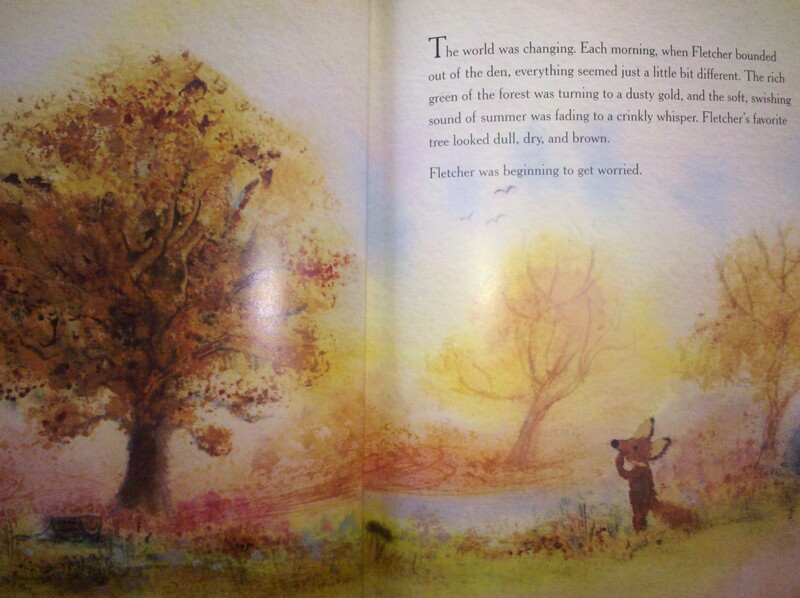 This entry was posted in Ages 4-6, Book Review, Children's Book, Picture Book and tagged autumn, Book Review, children's book, fall, Fletcher and the Falling Leaves, Julia Rawlinson, picture book, season, Tiphanie Beeke. Nobody believes a small boy when he continually states that it’s going to snow. The day begins grey and dirty, but soon there is the glimpse of one snowflake. A man with a tall hat and a woman with an umbrella state that it’s nothing and will soon melt. The radio and television mention no sign of snow. However, snow doesn’t watch television or listen to the radio. Snow is snow. Soon more snowflakes fall and turn the dreary grey skies into a white blanket that covers the town. 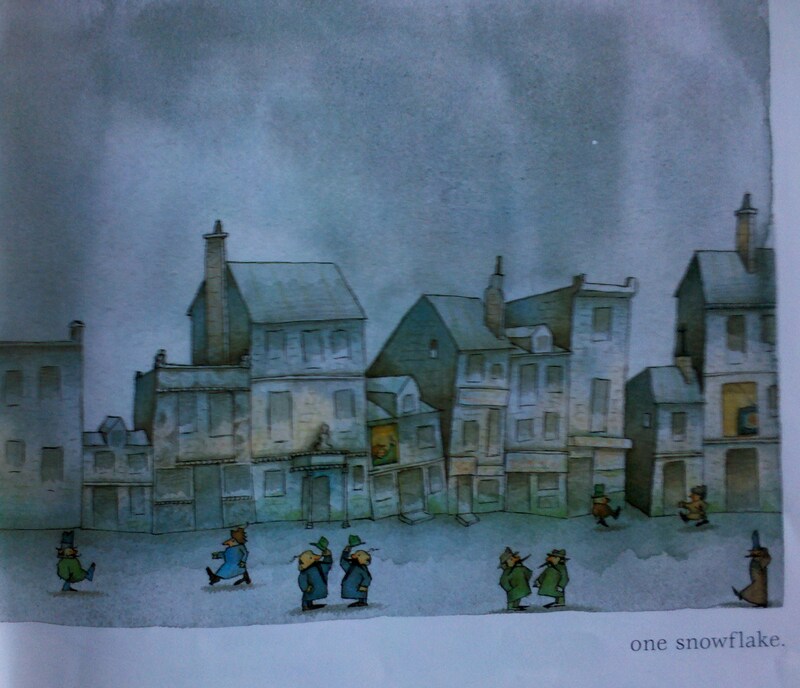 Snow contains few words, but the illustrations make the story as the town becomes whiter. I saw this book as an optimistic young boy who believes in the magic of snow and a pessimistic town who only believe what they are told. Snowflakes keep coming and coming and coming, circling and swirling, spinning and twirling, dancing, playing, there, and there, floating, floating through the air; falling, falling everywhere. This book was awarded a Caldecott Honor in 1999. 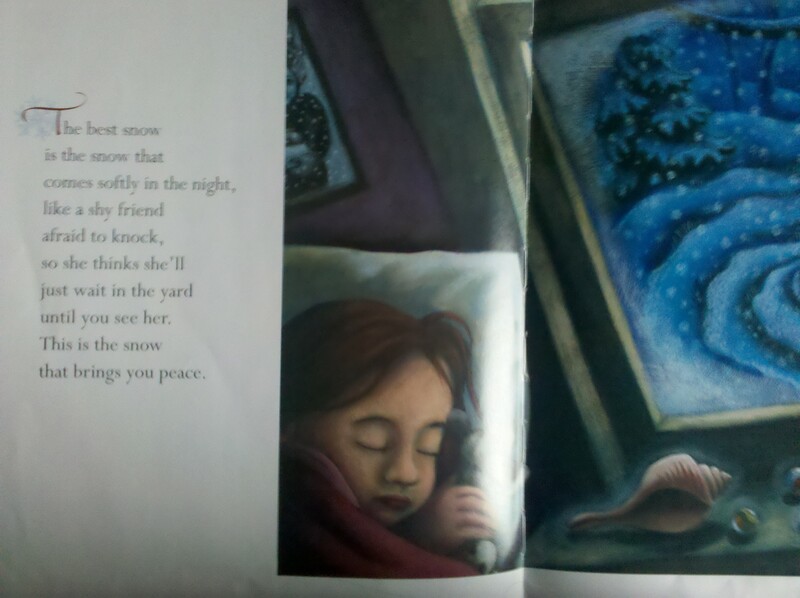 This entry was posted in Ages 4-6, Book Review, Children's Book, Picture Book and tagged Book Review, children's book, picture book, postaday2011, season, snow, Uri Shulevitz. When the winter comes many changes occur in nature. There is a common question on each page then it is answered. Where oh where do the leaves all go when winter comes and the cold winds blow? The leaves go tumble tumbling down. The book describes the changes with leaves, flowers, caterpillars, songbirds, field mice, deer, fish, and finally the small child. The pictures are beautiful as they capture nature’s changes. 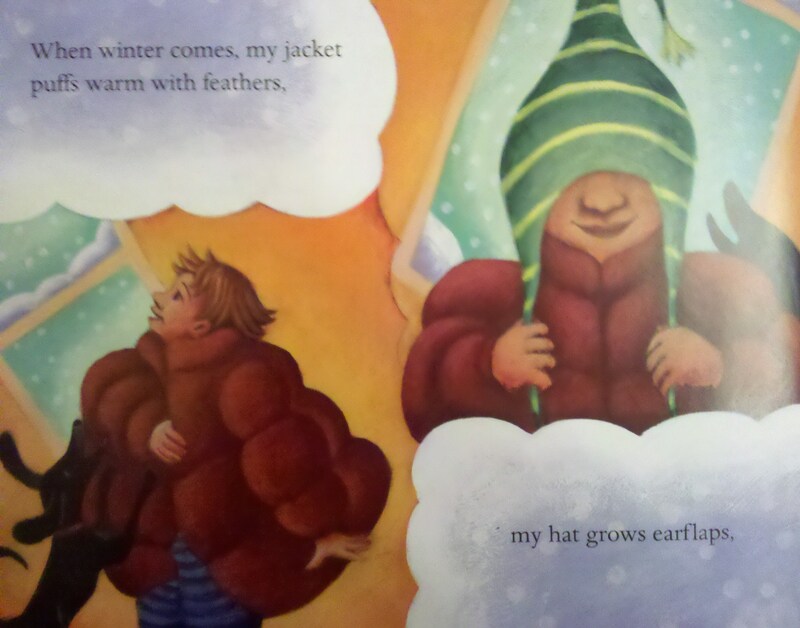 When Winter Comes can be used while studying animals and explain what occurs when the weather becomes cold. 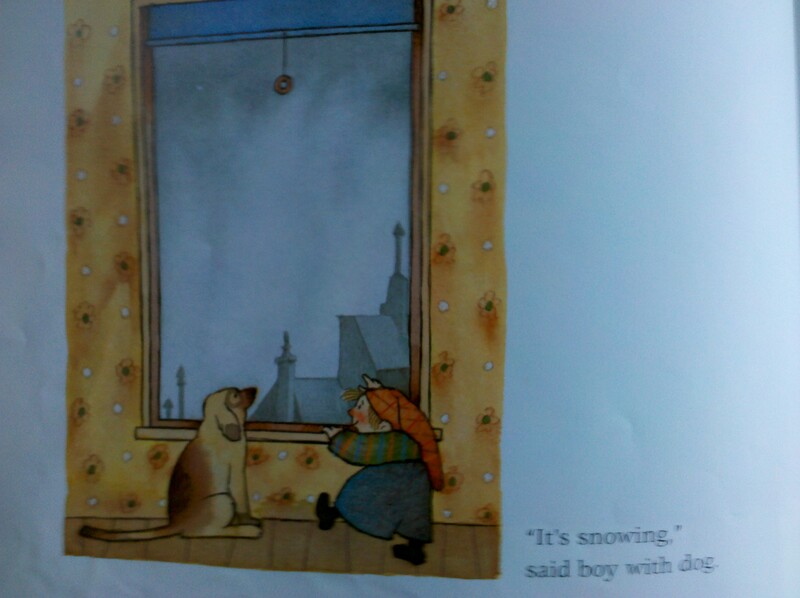 This entry was posted in Ages 4-6, Book Review, Children's Book, Picture Book and tagged Book Review, children's book, educational, Nancy Van Laan, picture book, postaday2011, season, Susan Gaber, When Winter Comes, winter. There are many different types of snow. Snow can be barely a whisper that lightly falls or snow can be heavy as it thickly covers everything. 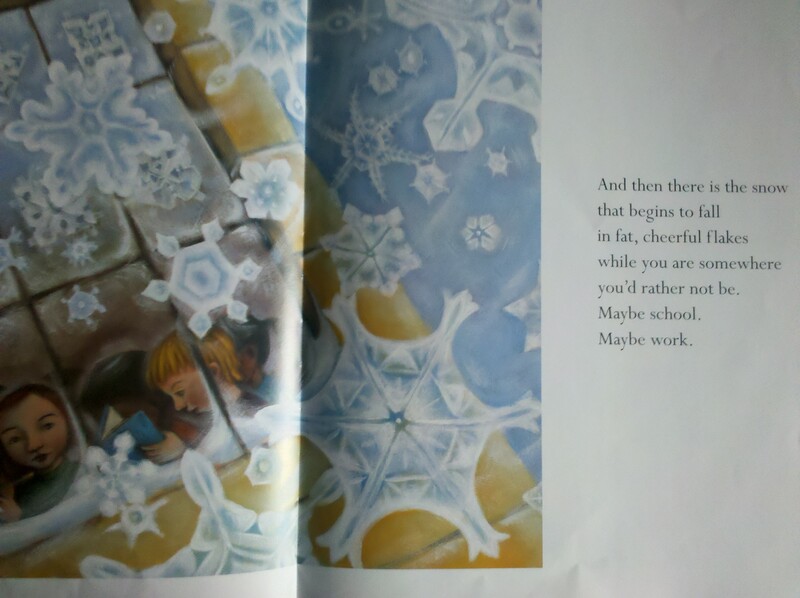 Snow is a lovely book that describes the types of snow and activities that occur. There’s certain snows that cancel school and we enjoy warm inside. Children and those young at heart love snow best and the snow welcomes them with snow angels and snowmen. The book ends that eventually the snow melts and we have the memories. 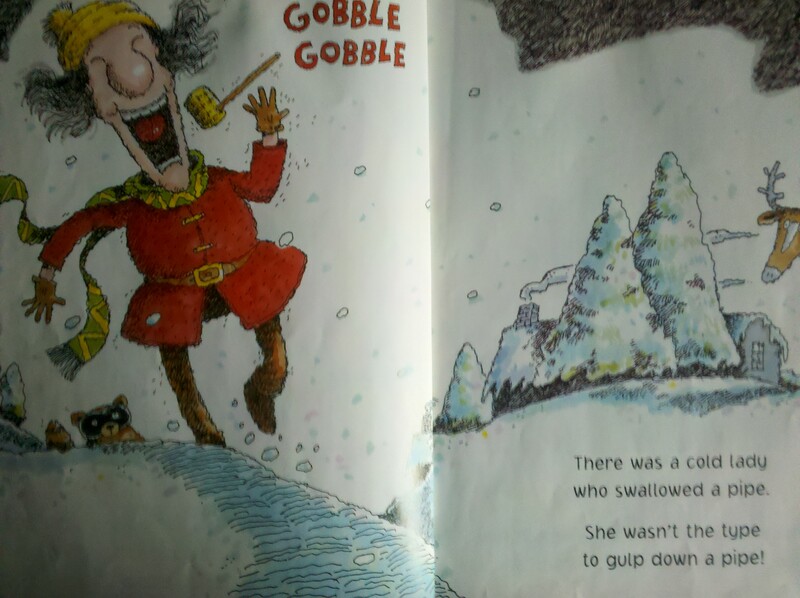 This book is another version of the ‘There was an old lady…” I wrote another post about a lady who ate a pumpkin pie. I think these books are very humorous and readers always beg to hear it again. In this version a lady begins swallowing some snow, a pipe to warm her toes, some coal, and it continues. 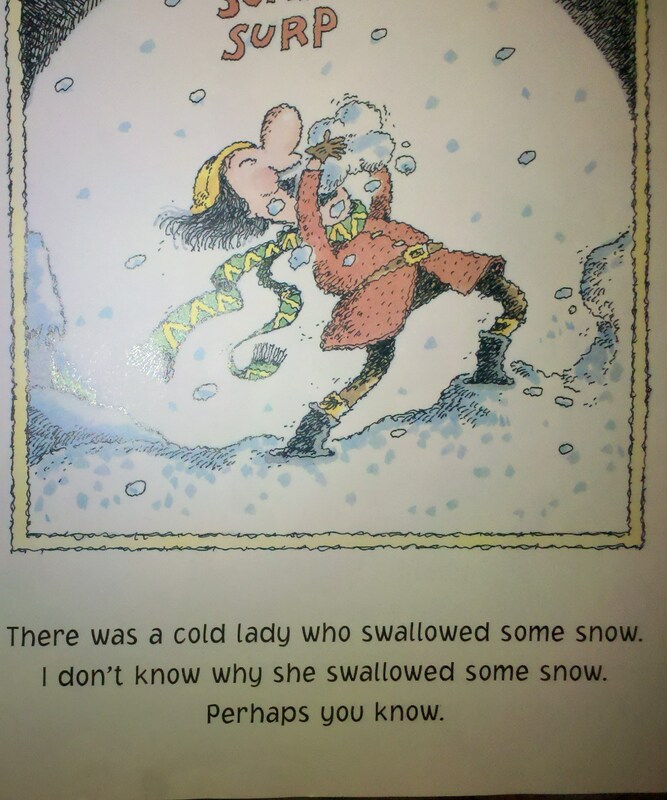 Here is the last line: ‘I don’t know why she swallowed some snow. Perhaps you know.’ The readers can guess about what she may swallow next and what happens with all the items. Lucille Colandro wrote other ‘I Know an Old Lady…’ books, so there’s more fun if you enjoyed this book. 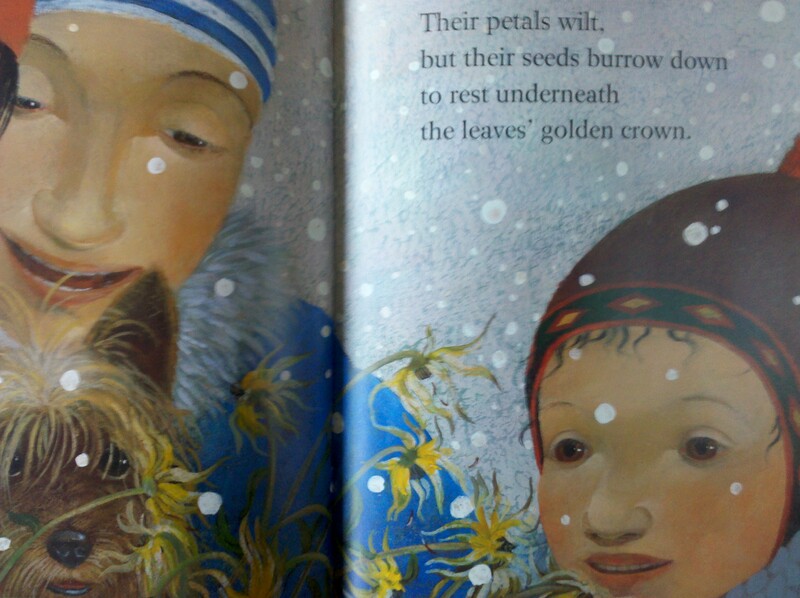 This entry was posted in Ages 4-6, Book Review, Children's Book, Picture Book and tagged Book Review, children's book, Cynthia Rylant, Jared Lee, Lauren Stringer, Lucille Colandro, picture book, postaday2011, season, snow, There Was a Cold Lady Who Swallowed Some Snow, winter. I bet you thought summer was the warmest season with hot sunshine days, but I’ll let you know that winter is actually the warmest season. Think of all you do to keep warm and toasty during the cold months. 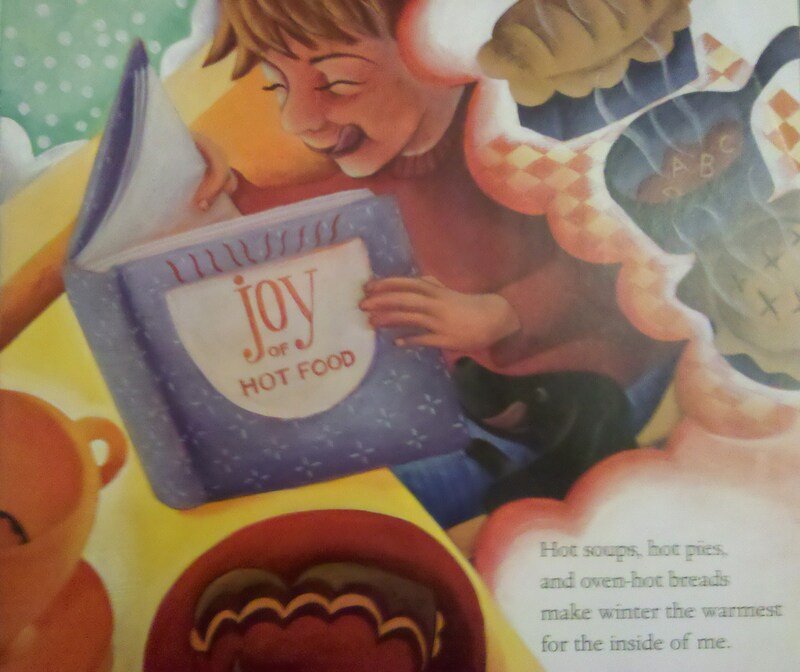 Winter is the Warmest Season is a delightful book with vibrant colors that show many warm activities during winter. We now drink hot cocoa and soup, instead of cold juice in the summer. In the winter, we light fires and turn on heaters, instead of fans in the summer. We bundle up in coats, hats, scarves, and gloves. Our beds are warm with blankets, perhaps even an electric blanket. Even animals snuggle warm on laps, near the fire, or upon comfortable beds. 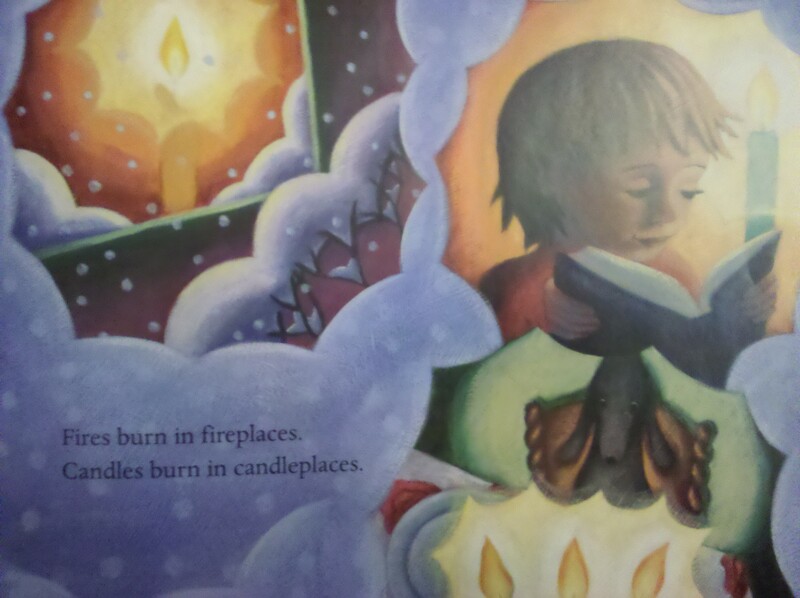 There’s nothing better than staying warm while reading a great book. In fact, I think books are even better when we’re all snuggled. 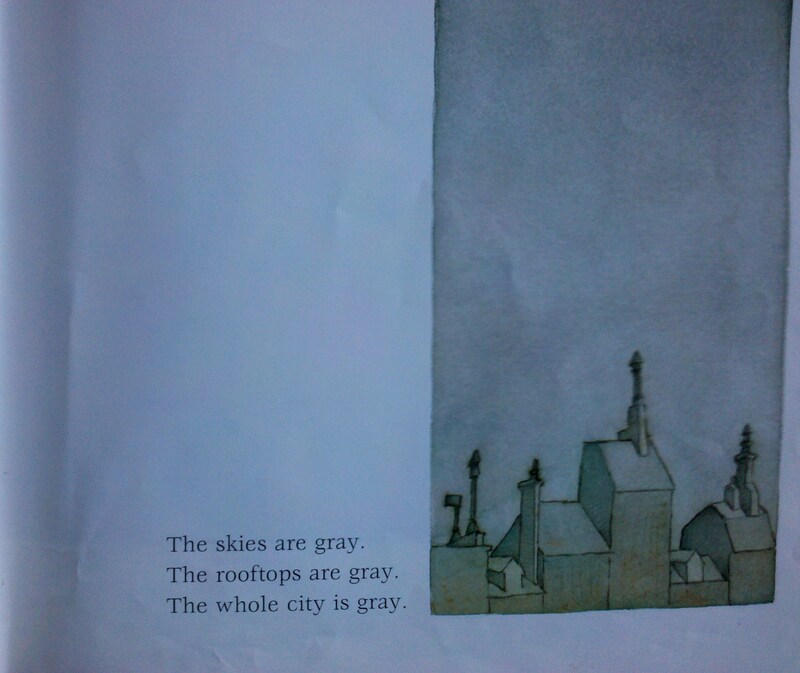 This entry was posted in Ages 4-6, Ages 6-8, Book Review, Children's Book, Picture Book and tagged Book Review, children's book, Lauren Stringer, picture book, poll, postaday2011, season, winter, Winter is the Warmest Season.